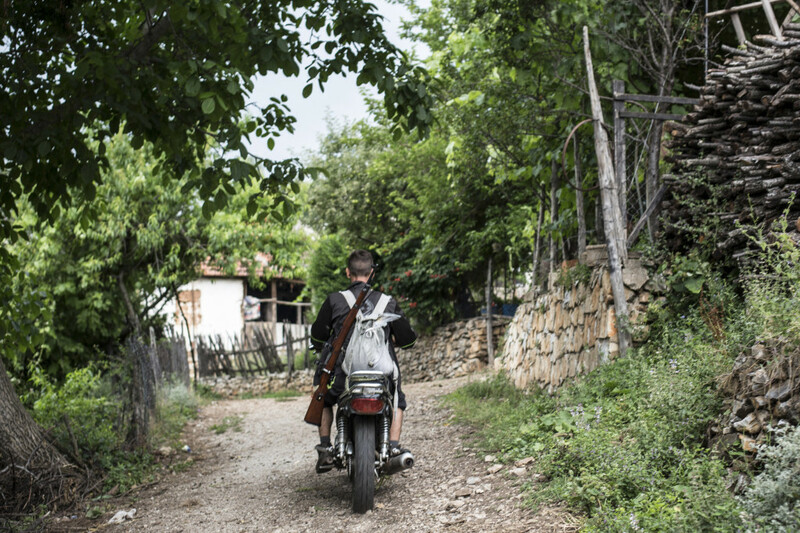 The Ukraine conflict has hit Macedonia’s lonely bachelors hard. 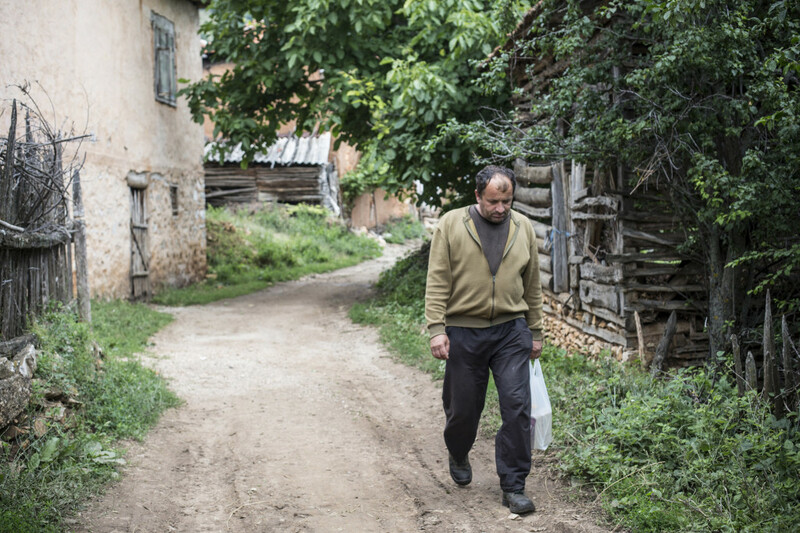 For some men in isolated communities, the lack of women has meant a life of utter solitude. 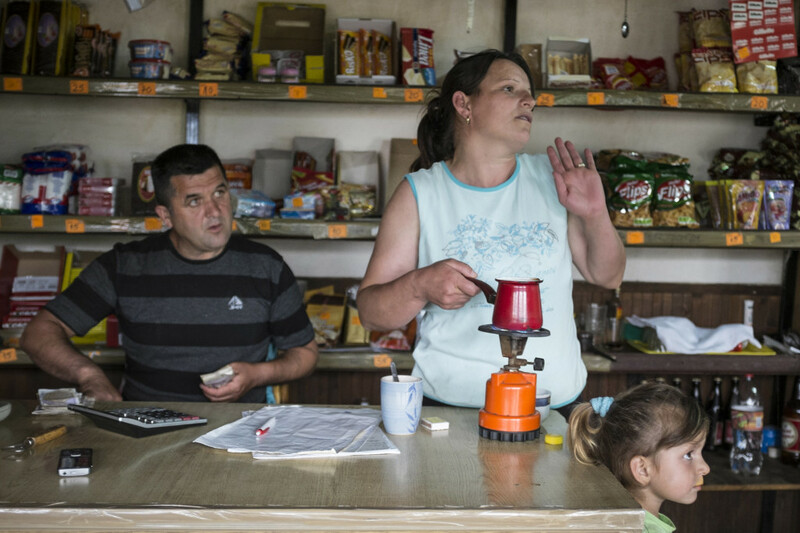 But a shortage of men in Ukraine and some creative thinking by one mayor have sparked a potential lifeline. 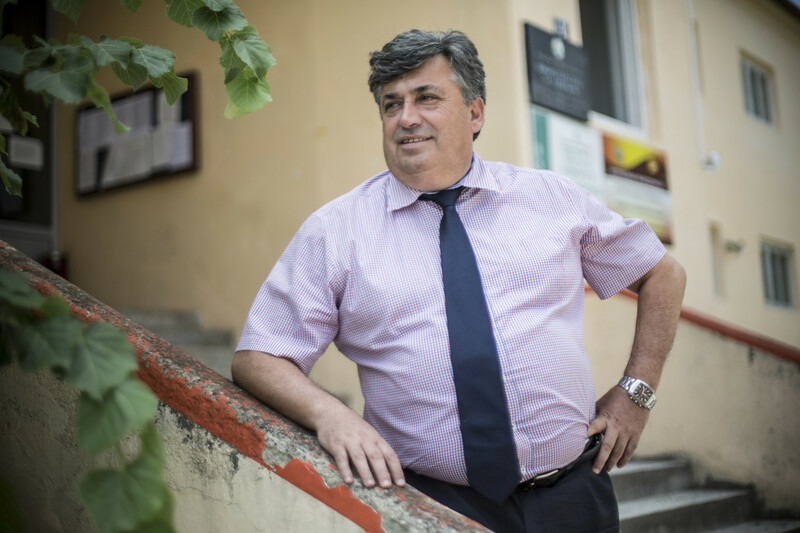 Working in collaboration with the Macedonian Embassy in Kiev, Milosim Vojneski, the mayor of Makedonski Brod (a municipality of 8,500 residents spread over dozens of villages) hatched a plan to provide an all-expenses-paid bus trip to Ukraine for men between the ages of 35 and 50 interested in finding a wife. 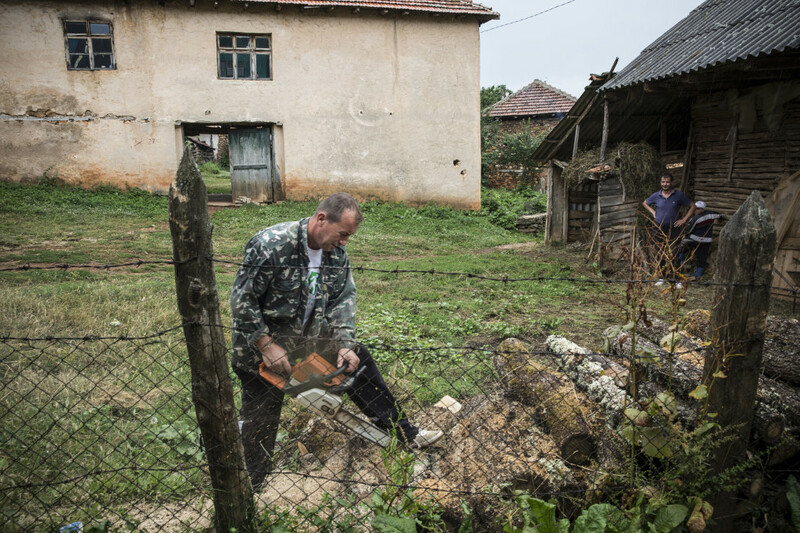 A total of 24 men signed up, but the war in Ukraine put a damper on Vojneski’s plan. The trip is now postponed until further notice. 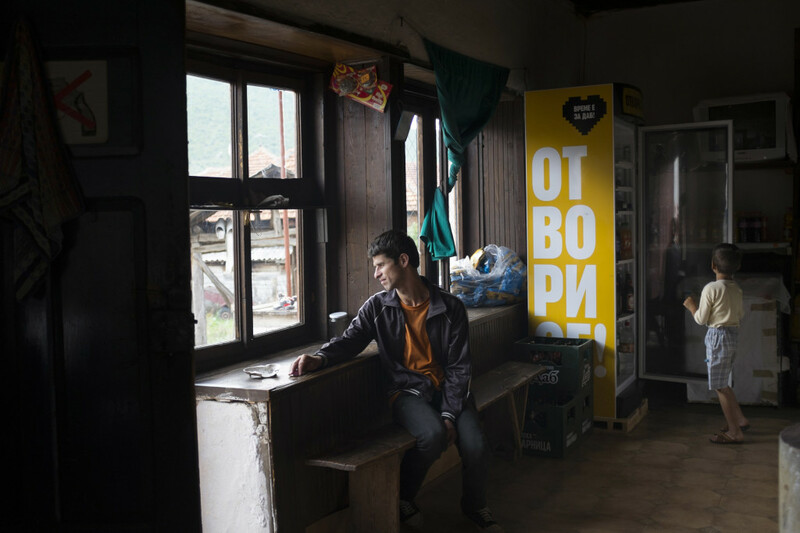 Rapid depopulation is causing despair in rural communities across Europe, and the problem is especially acute in the small Balkan country of Macedonia, with a population of just 2 million. 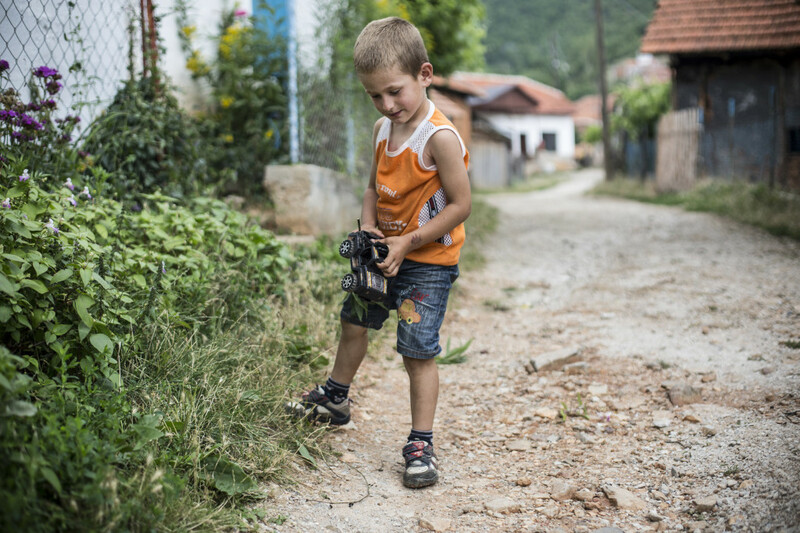 Macedonia is one of the poorest countries of the Balkans, with unemployment approaching 28 percent. Women here are leaving the countryside in droves to marry city men, leaving behind villages full of bachelors. 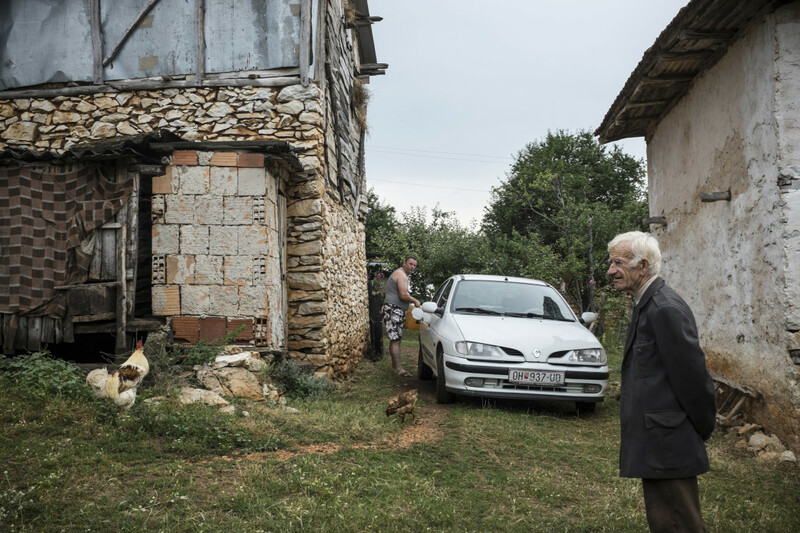 In Brest, out of a population of 150, there are 23 unmarried men and no available women, according to locals. 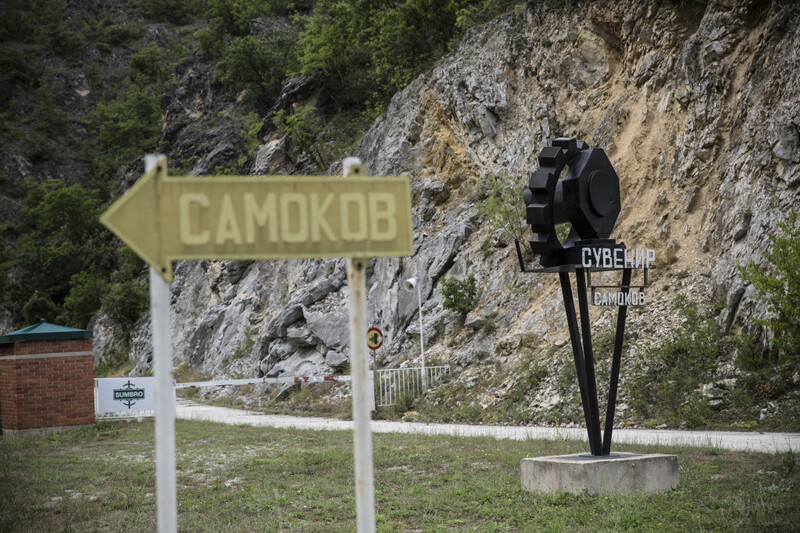 Just 20 years ago, there were 400 residents, many of whom worked in the Suvenir arms factory in nearby Samokov. 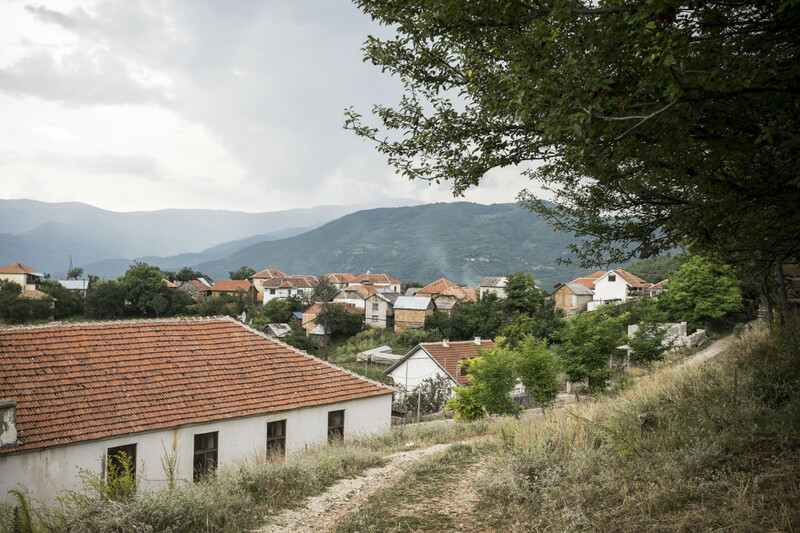 Macedonia was once the sunny, agricultural gem of greater Yugoslavia, dotted with factories that provided lifelong employment. But soon after the collapse of Yugoslavia in the early ’90s, many women left to find opportunities in urban centers and abroad. Meanwhile, local men stayed to tend the land of their grandfathers and inherit the family home. 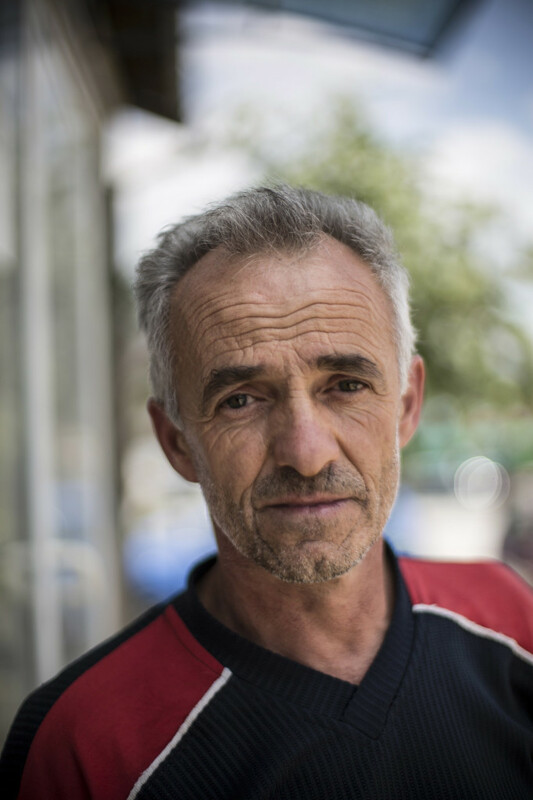 Brane Atanaskoksi, 43, a chiseled-faced man with azure eyes and a few missing teeth, nurses a beer at the local café, which is also the village grocery. 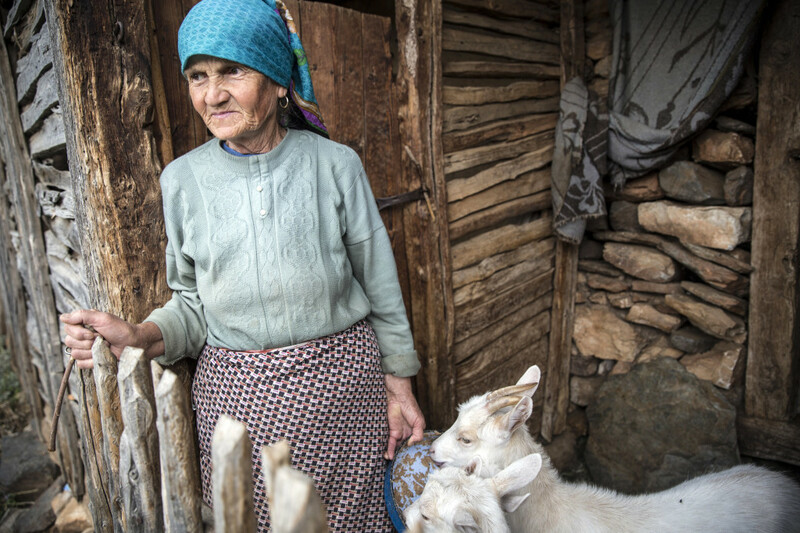 Atanaskoksi doesn’t care much which country his future wife comes from, as long as she’s willing to “stick around” and help with the work on his little farm. A visit to Brest is like going back almost a century. Bent old women scurry around, fetching water from the well. Near the wooden outhouse, pigs forage for food. The place smells of old wood, and animal droppings line the unpaved main street. The sound of chickens clucking is punctuated by the roar of a chainsaw, as a man cuts wood for the upcoming winter, still months away. One of the lucky men is shop owner Goran Trpkoski, 43. 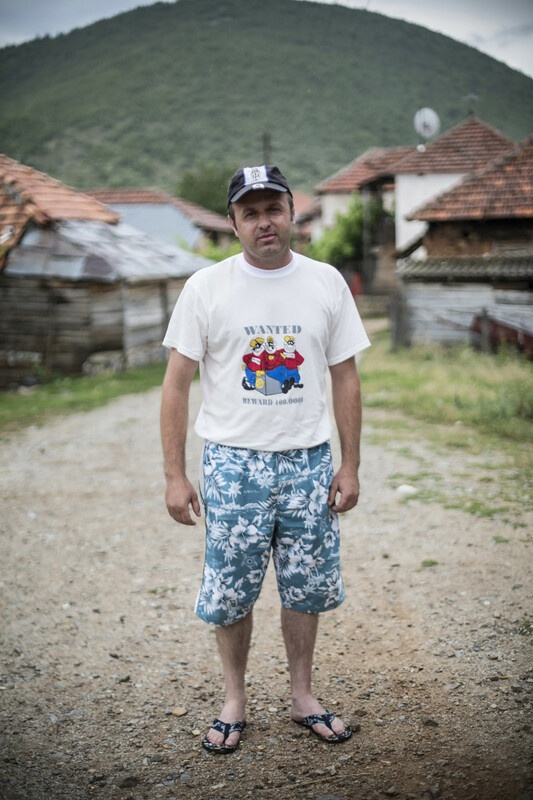 His wife is Alida, 31, a stout-figured Albanian woman who bore him two children, a girl, 6, and a boy, 4. The couple met and spoke for just half an hour before a deal was arranged and he brought her across the border. For the moment, the mayor arranges matchmaking bus trips to neighboring Albania. Over the course of four years, he has managed to match local men with 78 Albanian brides, resulting in 109 children. But if the men of Brest can’t find more wives soon, the village will share the fate of more than a hundred abandoned Macedonian villages. 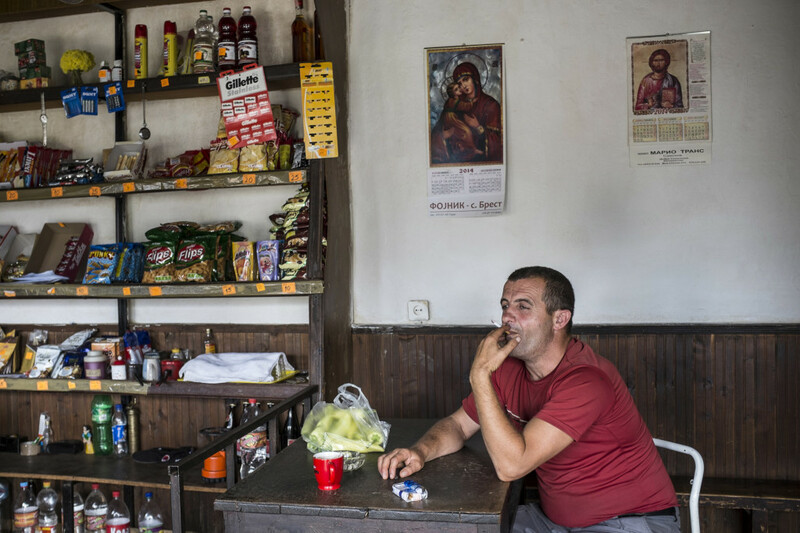 As Atanaskoksi took the last swig from his beer, the Albanian shopkeeper Alida Trpkoski promised she would do her best to help him find someone. “But it would help if he wouldn’t drink so much,” she said. He promptly switched to coffee.